Giclee print. Further information below. 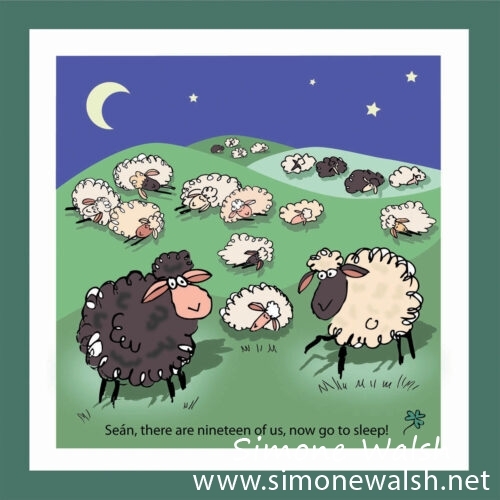 Giclee Print from “The Ewe & Me Collection”…A Series of not so Serious Illustrations by Irish Artist Simone Walsh Beashel. Available mounted in a cello bag or mounted and framed in a limed wood frame. Mounted prints to fit these size frames: 6.5″ x 6.5″, 10″ x 10″, 12″ x 12″. 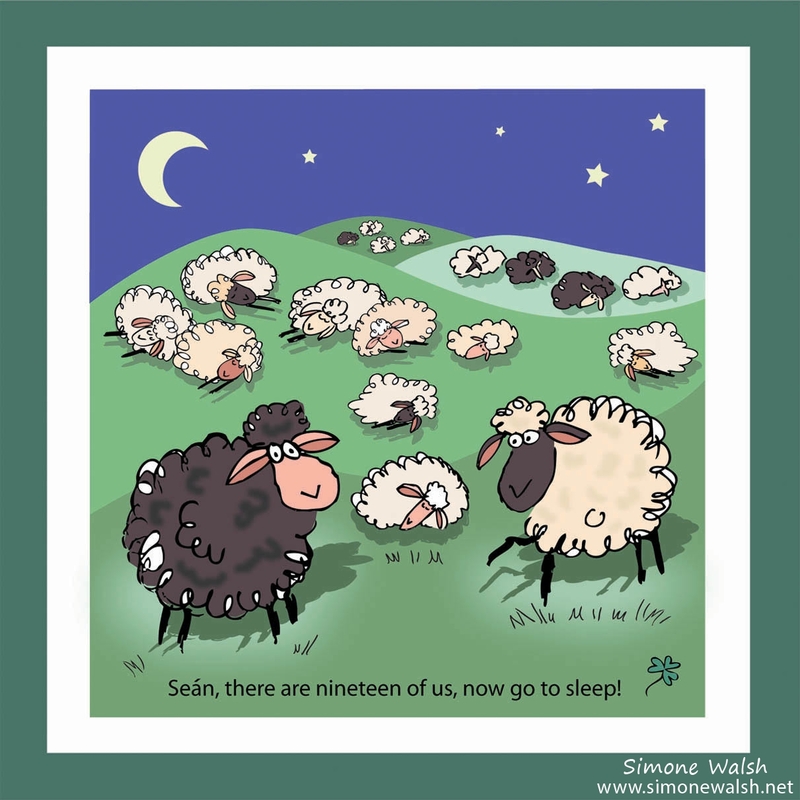 Framed prints: 6.5″ x 6.5″, 10″ x 10″, 12″ x 12″.